The One Planet network has formed to implement the 10-Year Framework of Programmes on Sustainable Consumption and Production, which supports the global shift to SCP and the achievement of SDG 12. Adopted in 2012 at the World Summit on Sustainable Development, the 10-Year Framework of Programmes on Sustainable Consumption and Production (10YFP) is a global commitment to accelerate the shift towards sustainable consumption and production in both developed and developing countries. Sustainable consumption and production has been included as a stand-alone goal (SDG 12) of the 2030 Sustainable Development agenda, and Target 12.1 calls for the implementation of the 10YFP. We are now five years in, and although there remains much work to do, have a look at the Mid-Term Magazine, detailing the accomplishments of this network over the last five years. The One Planet network is an open partnership, and countries including all relevant stakeholders and organisations are invited to join and actively engage. The strategic objective of the One Planet network over during the period 2018-2022 is to be recognised as the lead mechanism to support and implement the shift to sustainable consumption and production patterns, contributing as an effective implementing mechanism of Goal 12 of the 2030 Agenda for Sustainable Development. 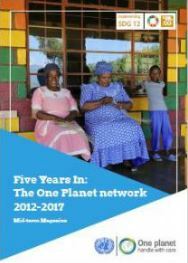 The strategy of the One Planet network for the period 2018-2022, One Plan for One Planet, details the common approach around which the entire network can rally. For background information on the history of SCP and the 10YFP since its adoption at the Rio+20 Conference, please visit the Background page of this platform. On September 25th 2015, countries adopted a set of goals to end poverty, protect the planet, and ensure prosperity for all as part of a new sustainable development agenda. Each goal has specific targets to be achieved until 2030. The United Nations Secretary General has highlighted significant gaps regarding SDG 12, on "ensuring sustainable consumption and production patterns", which is currently covered in a fragmented and piecemeal way. The ambition and breadth of the Sustainable Development Goals make them simply unattainable without robust partnerships. The One Planet network has the legitimacy and mandate from the international community to be the premier multi-stakeholder implementing mechanism for SDG 12, drawing stakeholders together around a common approach and a shared set of objectives. Though a stand-alone goal (SDG 12) has been included, SCP should be seen as an enabler for the implementation of a range of other goals and many of their targets. 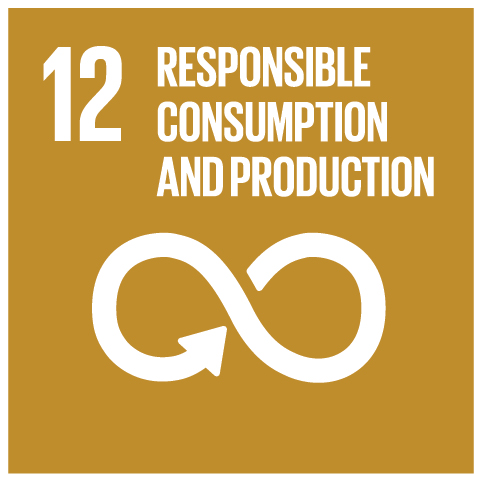 Achieving sustainable consumption and production will deliver not only SDG 12, but simultaneously contribute significantly to the achievement of almost all of the SDGs, directly or indirectly. The sectoral and thematic programmes of the One Planet network - Public Procurement, Buildings and Construction, Tourism, Food Systems, Consumer Information, and Lifestyles and Education - are a constellation of organisations from sectors and regions around the world, acting as the implementers of the One Planet strategy. Growing portfolios of activities highlight the products and solutions the programmes offer (or are developing) to support countries in the shift to Sustainable Consumption and Production. More information about the portfolio approach adopted by the programmes can be found here. This platform is where the lead organisations of each programme can coordinate their efforts, to showcase what the programme is doing, who is taking part, and how interested stakeholders can engage. Sustainable Tourism Programme serves as a collaborative platform to bring together and scale up existing initiatives and partnerships and facilitate new projects and activities with potential to accelerate the shift to SCP. The goal of the programme is to promote resource efficiency, mitigation and adaptation efforts, and the shift to SCP patterns in the buildings and construction sector.